Festival do Rio, Rio de Janeiro’s international film festival, will take place between Thursday 26 September and Thursday, 10 October in 2013. It will be the festival’s 15th anniversary. The festival will screen around 400 films from more than 60 countries at 30 venues spread across Rio de Janeiro. Brazilian films and Première Brasil, which has as its festival home the historic Odeon Petrobras in downtown Rio de Janeiro, are the beating heart of Festival do Rio, and the festival is rightfully acknowledged as the best annual global showcase of contemporary Brazilian film. 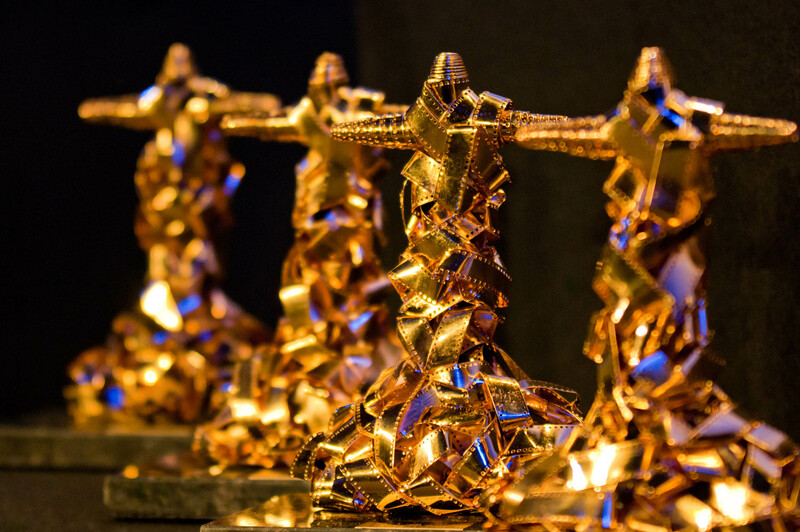 Première Brasil is the only competitive section of Festival do Rio with jury awards – the Rednetor (photo) – to be presented on Thursday 10 October. Three highly prized audience awards will also be bestowed on the best Brazilian feature film, best documentary and best short film. This entry was posted in Brazil, Rio de Janeiro and tagged Brazil, Festival do Rio, Rio de Janeiro, Rio Film Festival by Critical Divide. Bookmark the permalink.